We may assume that the price continues forming diagonal triangle pattern inside wave (5) of . In the near term, the Index is expected to start moving upwards again. 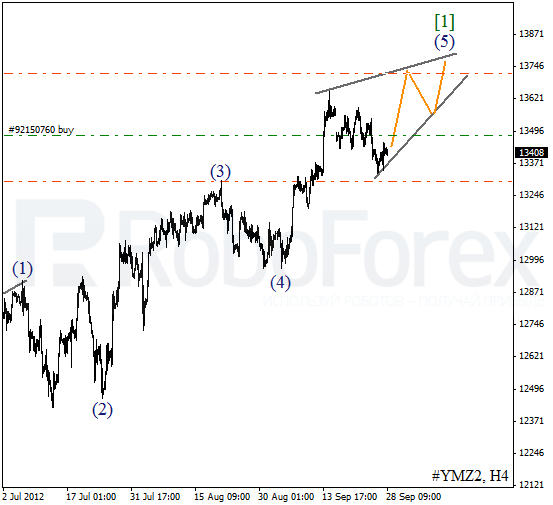 Later the bulls may reach the levels of 13700-13800, and then the instrument may start a corrective movement. 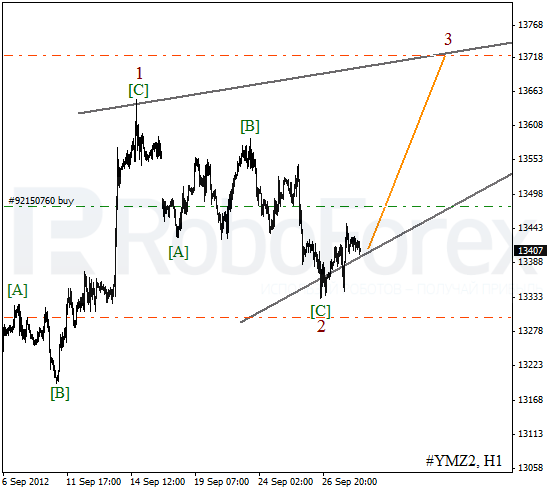 At the H1 chart wave 2 has been completed in the form of zigzag pattern. It looks like the price has started to form the third wave. The Index may break a local maximum by the middle of the next week. We can’t exclude a possibility that the correction has been already finished and wave 2 has taken the form of zigzag pattern. On the minor wave level Oil is forming an initial wave . In the near term, we can expect the price to continue growing up. 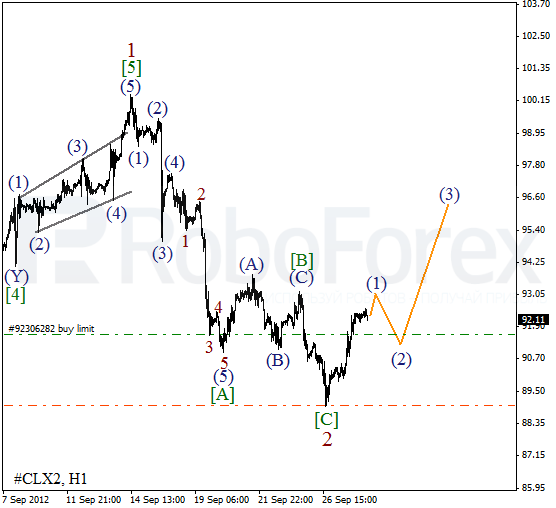 As we can see at the H1 chart, wave [C] of 2 turned out to be quite short. 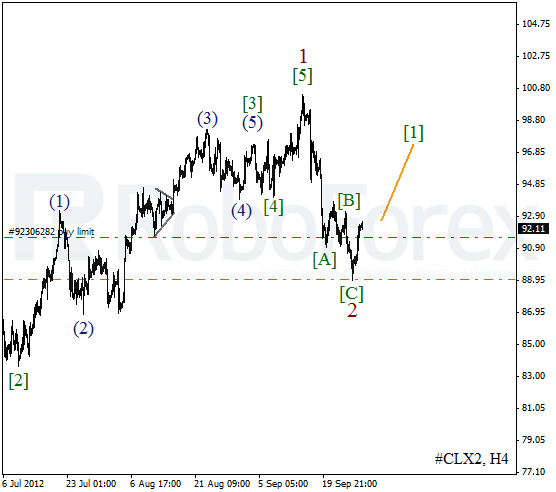 At the moment Oil is finishing wave (1). After the instrument finishes a corrective movement, the price is expected to start growing up inside wave (3) of .